Two Rivers Housing is much more than just a housing provider – we aim to build great homes and support communities – and we are proud to have backed many worthwhile local projects over the years. Events are held all year round, whether it’s offering inclusive and fun activities such as soft bowls or family fun days, or staff raising money for charity through monthly dress-down days, or donating food, clothes, toys and gifts to local people in need. memory events in Newent and Lydney – bringing people together to share their recollections of where they live, building a sense of pride in the community and a sense of place for newer residents. 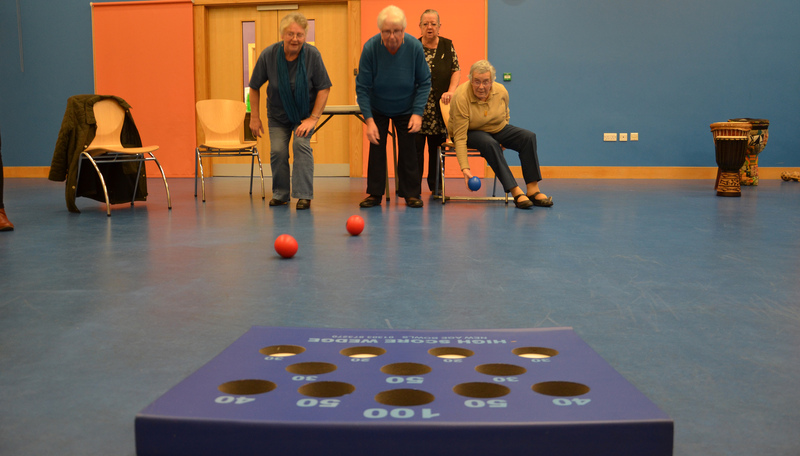 Sedbury bowlers (pictured) – now a thriving group where the members are improving their fitness and having a lot of fun. Bream Snappers – a group for keen amateur photographers who also have mobility issues. They meet weekly to take pictures in the beautiful Forest of Dean. a community playground in Alvington, led by residents who have secured the lease on a piece of land and £8,000 funding to create a bespoke play area. These are just examples and the ideas come from the people who live in our communities. We see this as an important part of building supportive neighbourhoods, so we’re delighted to help where we can. Many of our staff have received dementia awareness training and we have 10 accredited Community Dementia Link workers helping us to understand the impact of the disease on families, friends, neighbours and the wider community. We are also supporting Newent and Cinderford town councils to become dementia-friendly towns and we have worked with the Forest of Dean Dementia Action Alliance to produce the ‘Let’s Talk Dementia’ board game. We have copies available to loan. We also have close links with Adult Education, Learn Direct, the Salvation Army in Coalway, the Barnwood Trust and Active Communities FOD, to name just a few of the partner agencies we work with to provide events, training and support. If you have an idea for a project in your area and would like our help or advice, or you want to know more about the ‘Let’s Talk Dementia’ board game, please contact our Community Engagement team.